John Kiriakou, 2018. Yorgos Boskos. 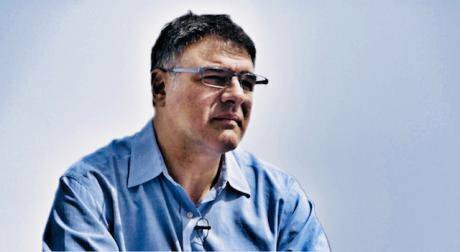 All rights reserved.Three years after he was released from prison, former CIA officer John Kiriakou again denounces the torture programme as illegal and unethical which he had exposed back in 2007. Kiriakou explains why he feels no regrets about his decision to blow the whistle, although it came at a high price for him as for NSA whistleblower Thomas Drake: he would do it all over again. Kiriakou recollects the CIA's new director, Gina Haspel, overseeing torture sessions in a secret prison overseas. ‘‘When the programme was finally exposed, Haspel personally ordered to destroy videotapes of CIA torture’’, Kiriakou says. On Donald Trump, Kiriakou believes his personal instability to be dangerous. ‘‘There is an anti-Russian hysteria in Washington, it's unlike anything I have seen before in my life. That's why I fear for the country’’, Kiriakou states. John Kiriakou describes three major techniques that the CIA used: waterboarding, sleep deprivation, and ''cold cell'', which led to the death of two prisoners. He believes that ‘‘those techniques were crimes against humanity’’. The former CIA Officer was six years old when Daniel Ellsberg went public with the Pentagon Papers, and still remembers what a hero he was in his house and the contribution that he made to American political culture. A few days before Kiriakou went to prison, Ellsberg told him ‘‘you are on the right side of history’’. As Kiriakou admitted, ‘‘Ellsberg was a real inspiration for me’’. Emphasizing that the United States has been in war for seventeen consecutive years, Kiriakou states that Barack Obama and Hillary Clinton never saw ‘‘a war that they did not want to jump into with both feet’’. He is not alone in believing that drones create more terrorists than they kill. ‘‘When I was in Pakistan, I captured and interrogated many dozens of Al Qaeda fighters. Most of them told me that they never had a problem with the US until we bombed their village and killed their parents with a drone’’, Kiriakou reveals. According to him, in the last month of Obama's term ‘‘424 people were killed with the use of a drone’’. Moreover, the former CIA analyst affirms that the ‘‘US economy would collapse if we stopped fighting wars because it's a military-based economy’’. Besides, Kiriakou talks about Edward Snowden, five years on from leaking the biggest cache of top-secret documents in history. To him, ‘‘it was a great public service, we would have no idea that the government was spying on us, without Snowden’’. As Snowden told the New York Times, Thomas Drake and John Kiriakou inspired him to go public with his revelations. ‘‘That made me so happy and proud, so I decided to write him a private letter that my attorney delivered to him in Moscow because I didn't want him to make the same mistakes that I made’’, Kiriakou affirmed. They spy on us, American citizens. The former CIA Officer stressed that the NSA intercepts every phone call, text message, and email. ‘‘They keep all that data in a giant facility in Utah, where there is enough storage space for the next 500 years. This is not what the founders of the country had envisioned’’. He also talks about best friend, NSA whistleblower, Thomas Drake, describing him as ‘‘a bona fide American hero’’. Thomas Drake told Kiriakou that US intelligence agencies can crack all encrypted messaging applications. ‘‘Rather than spend the time and the money breaking the encryption, they are able to mirror your phone in order to intercept it as you are typing, before your message is encrypted and sent’’, he adds. ‘‘CIA tried to teach us that everything in life is a shade of grey, but some things are black and white’’, Kiriakou states and again insists that to him, the torture programme was illegal and immoral. ‘‘I kept my mouth shut for three years, waiting for somebody to come out. Nobody blew the whistle, so I did’’. If he had another chance, what decision would he make? ‘‘I have no regrets, I would do it all again’’, Kiriakou replies without hesitation.